Revenue of the Mumbai-based firm grew 18.5 per cent in the quarter under review to Rs 38,010 crore from Rs 32,075 crore in the corresponding period last fiscal. The country's largest software services firm Tata Consultancy Services (TCS) on Friday reported a 17.7 per cent growth in consolidated net profit at Rs 8,126 crore for the March 2019 quarter. Revenue of the Mumbai-based firm grew 18.5 per cent in the quarter under review to Rs 38,010 crore from Rs 32,075 crore in the corresponding period last fiscal, it added. "This is the strongest revenue growth that we have had in the last fifteen quarters. “Our order book is bigger than in the prior three quarters, and the deal pipeline is also robust. 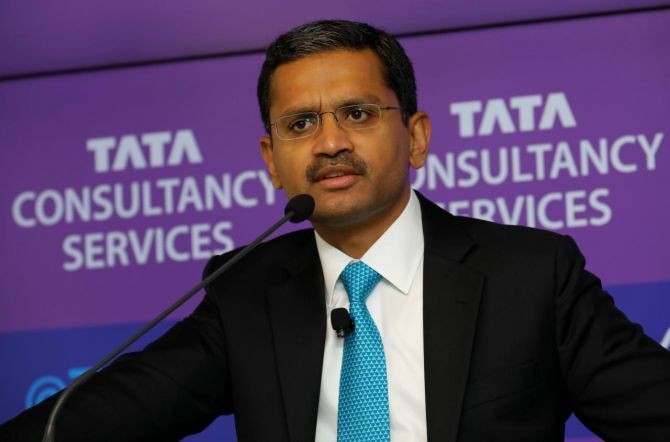 “Despite macro uncertainties ahead, our strong exit positions us very well for the new fiscal," Rajesh Gopinathan, chief executive officer and managing director at TCS, said.